The one you will add your other addresses to. 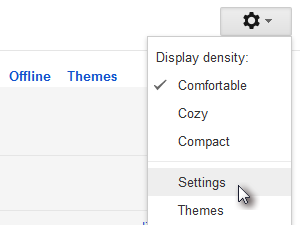 Click the Settings button and choose Settings (see picture). Look for Send mail as and click Add another email address. 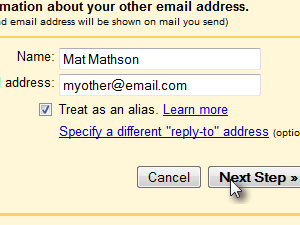 Now enter the address you want to add to you Gmail account and enter the name you want for that email. You can also choose the Send through SMTP servers option instead, in this case you will need to know the name of the SMTP server for the email you are adding. 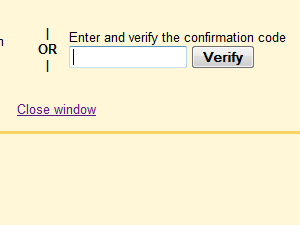 If you are sure you entered everything the correct way, click Send Verification. 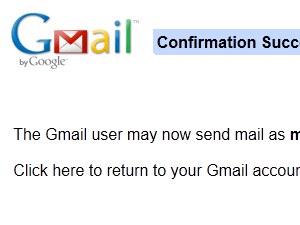 As you confirmed with Send Verification, an email with the confirmation code has been sent to the email address you just added to your Gmail account. 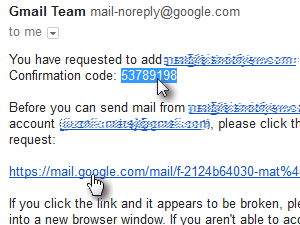 Go to that email account you just added and there should already be the Gmail Team email, containing the confirmation code and confirmation link. 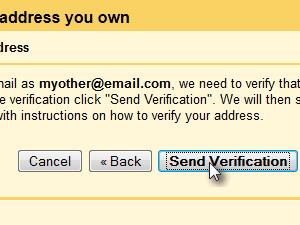 ... and your newly added email address should already be confirmed. 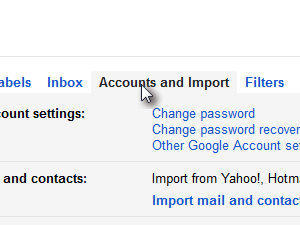 Now go back to your Gmail account (the one you added the new address to), again go to Email settings, Settings and click Accounts and Import. Go to Send email as settings.If you want to reply from the same address the message was sent from, meaning the address you just added, then choose the first option. If you want always to reply from your default address then choose the second option. 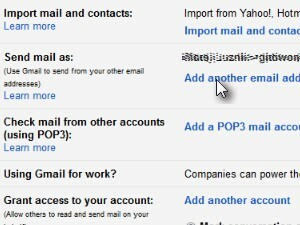 On the right to your added email addresses you have three option. 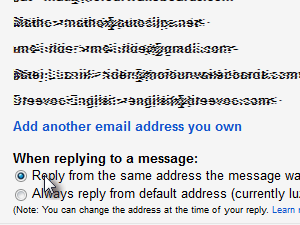 Now let's take a look how sending from a different address in Gmail looks like. 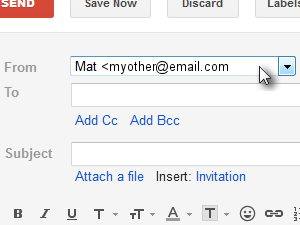 Create a new Email and from now on you are able to choose from all the addresses you added to your Gmail account. 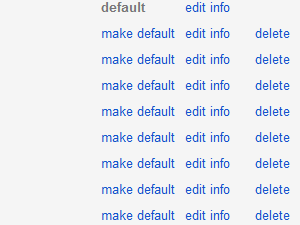 The one that will shop up by default is the one you set up as your default email (previous step). If you want to send from the email you just added and you didn't set it as a default email, then just click the From field and choose that address. The recipient of the email will get the email from the address you chose in your From field. 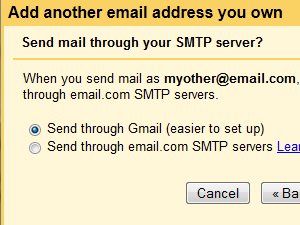 This goes well with the email forwarding setting, where you can for instance set that all the emails that arrive to the myother@email.com account should also be forwarded to my main Gmail account. In this case you can then really reply to those emails as the address that those emails were intended to. Click here for the tutorial. 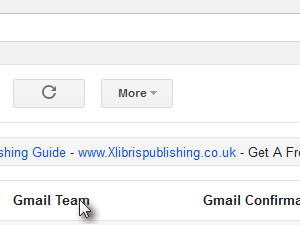 You can also add extra signatures for all the emails you added to your Gmail account. 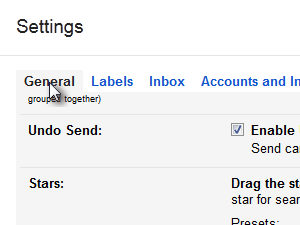 Got to email settings and click General. Look for Signature settings, select the address you want to create a new signature for and enter the signature, click Save when done. 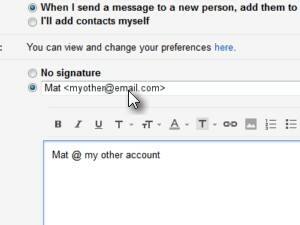 Click here if you want to learn a bit more about creating signature in Gmail.